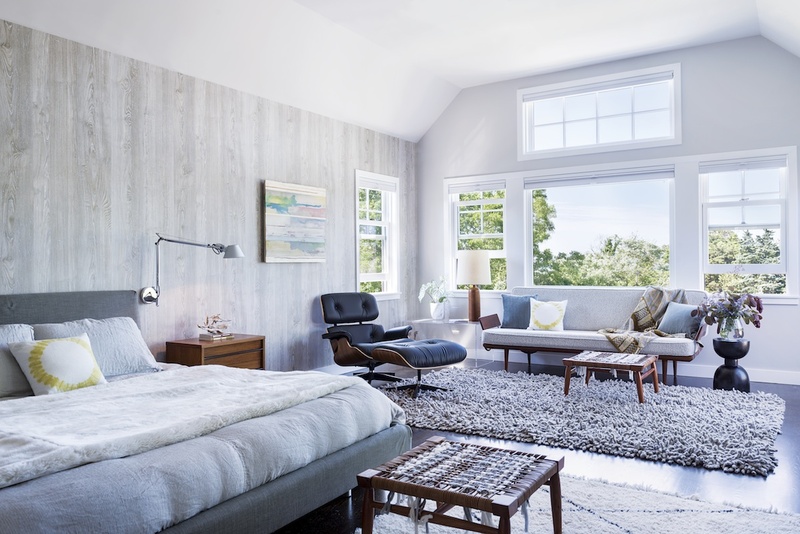 A Newton couple tap into the West Coast aesthetic to guide the redo of their Cape Cod home. By Julie Suratt·	 6/3/2014, 4:43 a.m. The sunlit master bedroom’s Phillip Jeffries wallpaper is a sleek backdrop for the Design Within Reach bed. Liz and her husband, Richard, had always wanted a summer retreat near the water. The sprawling Cape they purchased in East Orleans nine years ago, however, was far from a dream house. Situated on a cul-de-sac half a mile from Nauset Beach, it had zero curb appeal, thanks to several piecemeal additions made in the ’80s and ’90s. “It never felt like my house,” says Liz, who was so turned off by its lack of charm that she didn’t even bother decorating. For seven summers, they lived in the space, as it was. 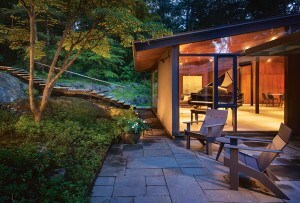 Liz thought they’d eventually tear down the house, which was situated on three lots over five acres. The year they moved in, in fact, the family had even installed a bigger septic system that could accommodate a second home on the property. But that altered the landscape, creating even more of a problem: a prominent hill out front. “I felt like I was staring at a toilet from my kitchen window,” says Liz, a Newton native. Liz and Richard’s five kids, on the other hand, adored the home, mostly because it meant their mother could relax for two months of the summer without worrying about sand being tracked through the house or what the dogs were getting into. She simply didn’t care. The property came with a clay tennis court, and the couple had a pool and basketball court built, but the family spent most of their time at the beach. Finally, in 2011, Liz—still convinced the structure would need to be razed—asked Canton builder Steve Overstreet, of S. J. Overstreet Construction, to come see the house. Together with Brookline architect Kent Duckham, they discussed keeping the foundation and altering the existing structure instead. Better yet, if they made the decision quickly enough, Overstreet said he could have the work completed by the following summer. “Let it rip,” Liz told him. Of utmost importance to the family was flipping the kitchen to overlook the backyard, which had always felt disconnected from the interior. 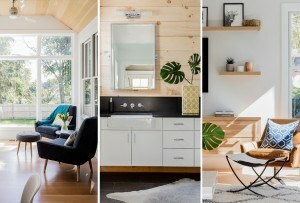 Other than that, Liz was willing to leave much of the remaining decision-making to her team, which included interior designer (and West Coast native) Lindsay Bentis, who’d done the couple’s house in Newton. 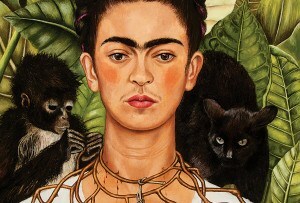 “I trusted Lindsay’s California aesthetic,” Liz says. Without increasing the square footage significantly, Overstreet created a guest suite on the first floor, where the original master bedroom had been, and moved the master bedroom above the garage, adding a bathroom in the process. He reconfigured the upstairs layout to make two large bedrooms with their own baths for the couple’s children and their many friends—one for boys, the other for girls. Custom bunk beds and trundles built into the dormers created plenty of room for slumber parties. Where the kitchen had been, the team added a colorful tile-floored mudroom with a walnut built-in cabinet and an antique locker for storing beach essentials. The new kitchen, now happily situated in the back of the house, is airy and sunlit—finally with a view of the backyard. Perhaps its coolest feature is what Liz and Bentis refer to as an “ice cream window,” an operable pass-through that opens to an outdoor counter on the bluestone patio. 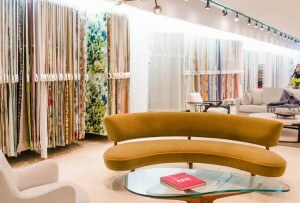 Bentis had seen windows like it growing up in Los Angeles. Liz admits that the concept is a little less practical in the Northeast, but the family’s cats appreciate the extra escape route. A Chimera pendant lamp hangs above a Ligne Roset dining room table. Interior designer Lindsay Bentis put a glass box around a ceramic hamburger made by one of Liz’s children to protect the prized artwork, which is displayed on the custom cabinet. 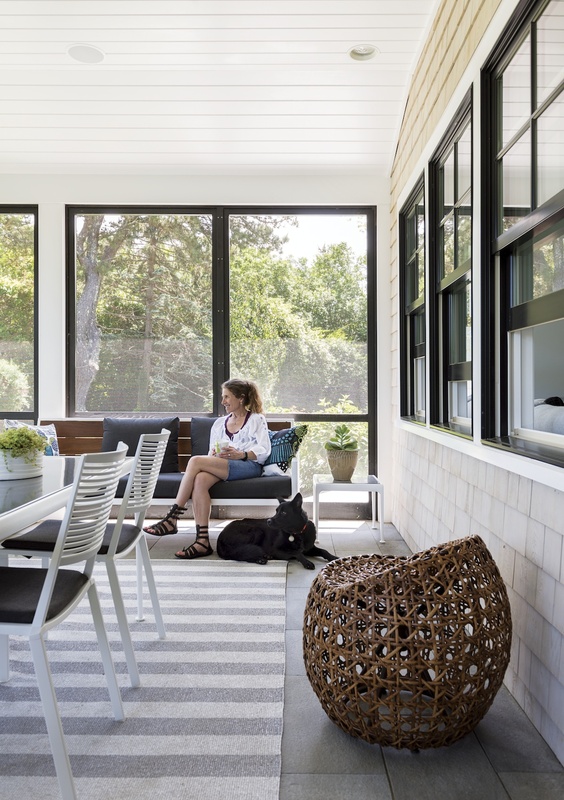 Liz and her dog Jojo relax in the new screened-in porch. The Reside driftwood table is the focal point of the living room; Bentis and Overstreet chose a metal hand-railing with clean lines for the staircase; Overstreet fashioned the master-bathroom vanity from Bentis’s designs. 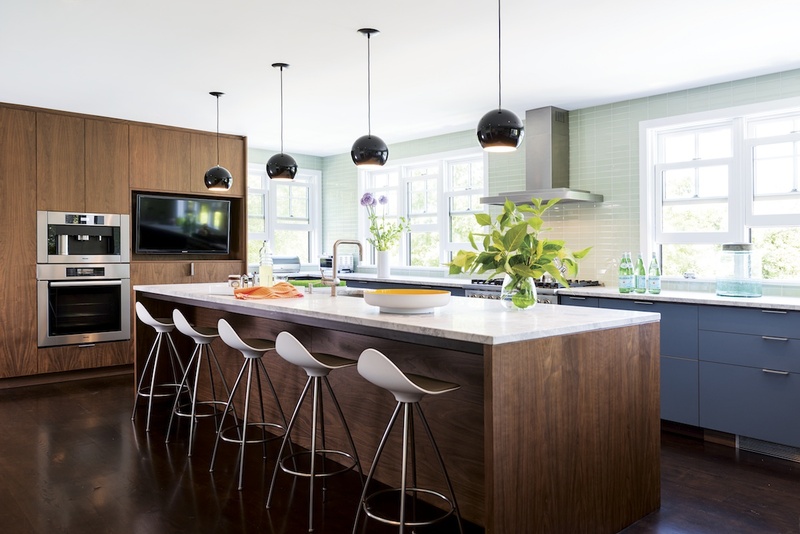 The kitchen’s sea-green tiles and blue Henrybuilt cabinets reflect the outdoors. Design Within Reach stools line the supreme-white-granite island. 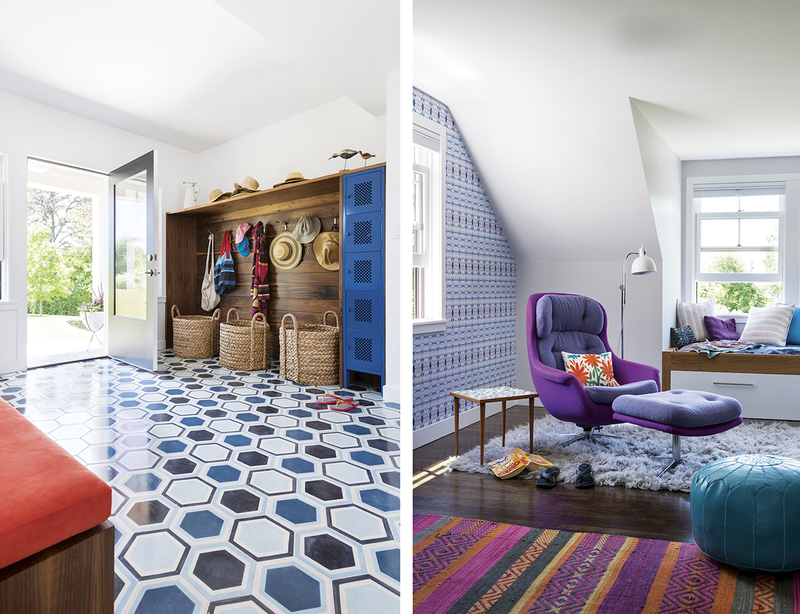 A locker found at a flea market (inset into the walnut shiplap built-in) matches the brightly colored Ann Sacks cement floor tiles; the girls’ bedroom features Eskayel wallpaper and an office chair reupholstered in bright-purple fabric. The window seat was custom-built with a trundle. During the renovation, the pool house was upgraded with new light fixtures and freshly painted doors. 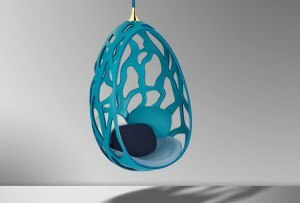 The lounge chairs are from Design Within Reach. Where to find décor inspired by the stories in this feature. 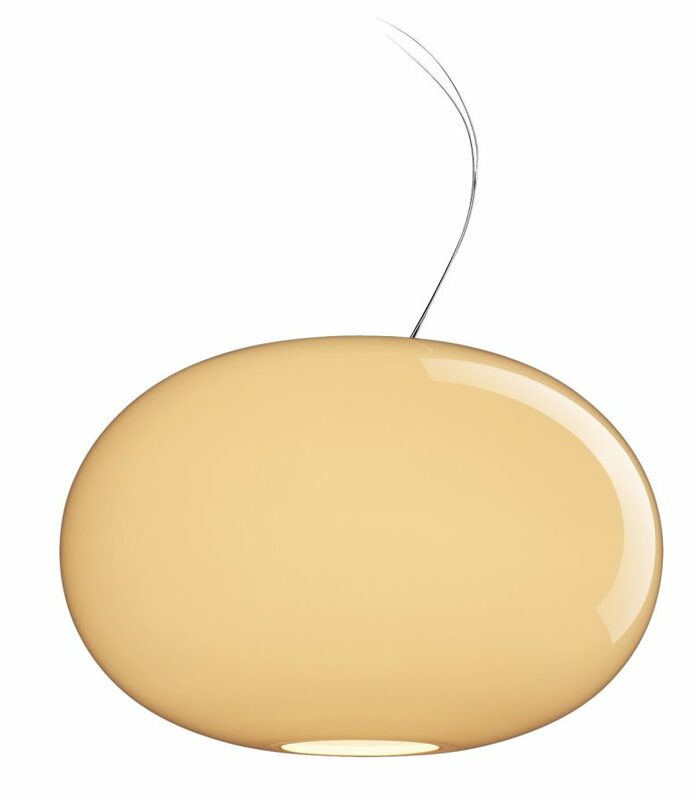 Foscarini “New Buds” suspension lamp, starting at $928, Hive Modern. 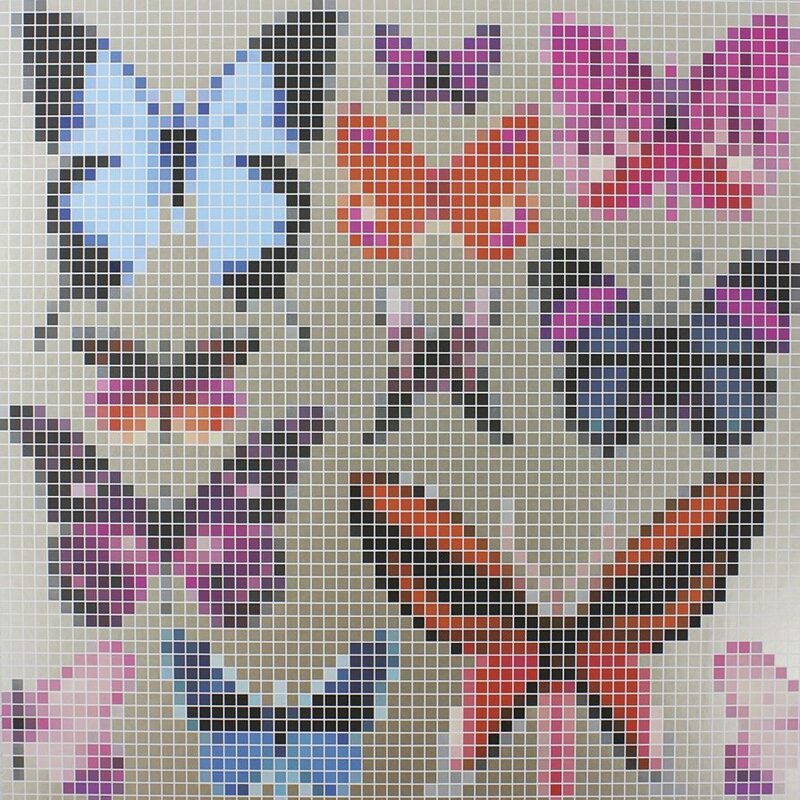 “Butterfly House” wallpaper, price upon request, Osborne & Little. 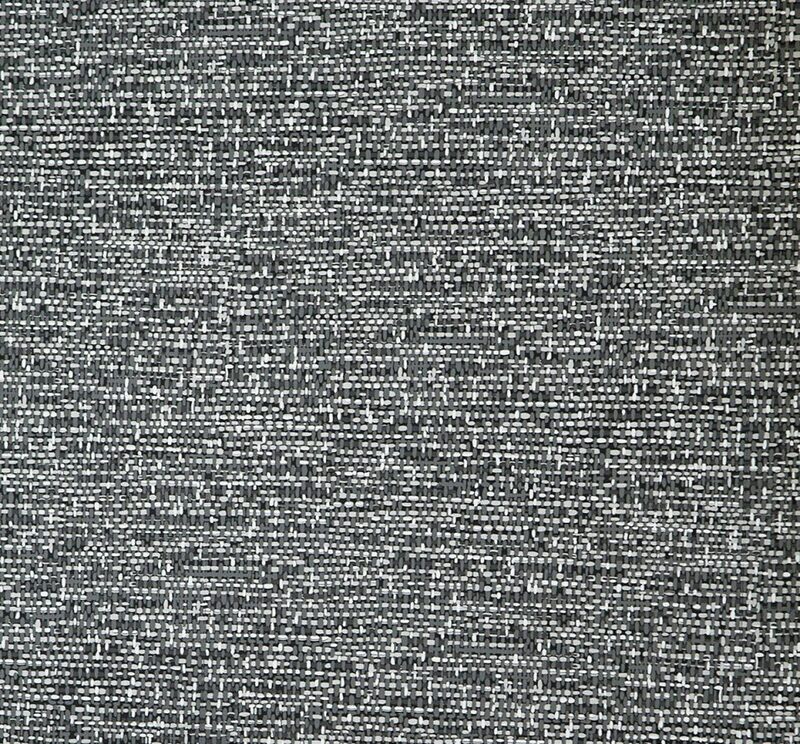 Cole & Son tweed wall covering, price upon request, Lee Jofa. 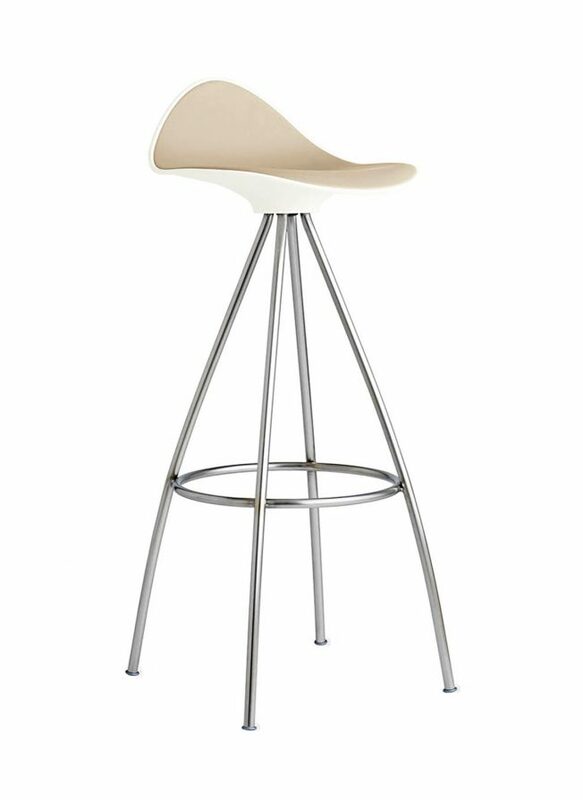 Jesús Gasca for Stua “Onda” counter stool, $349, Design Within Reach. 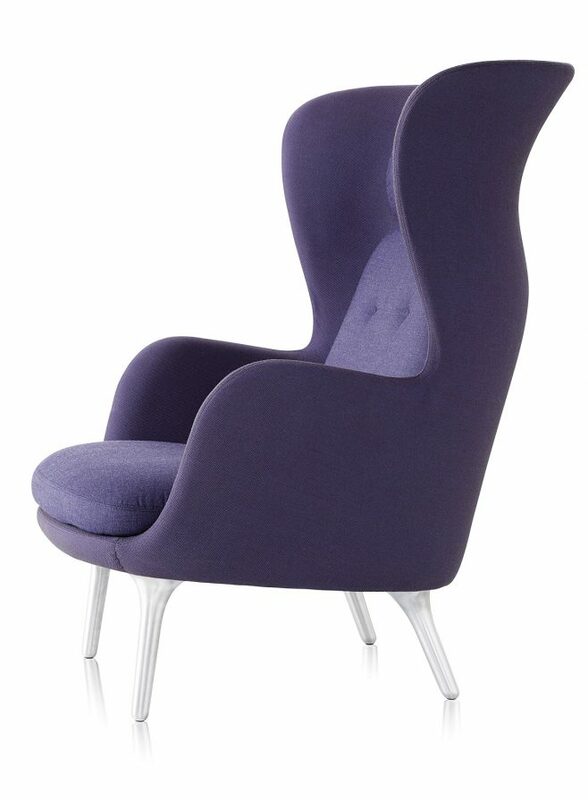 Mercer swivel chair, $648, Trovare Home. 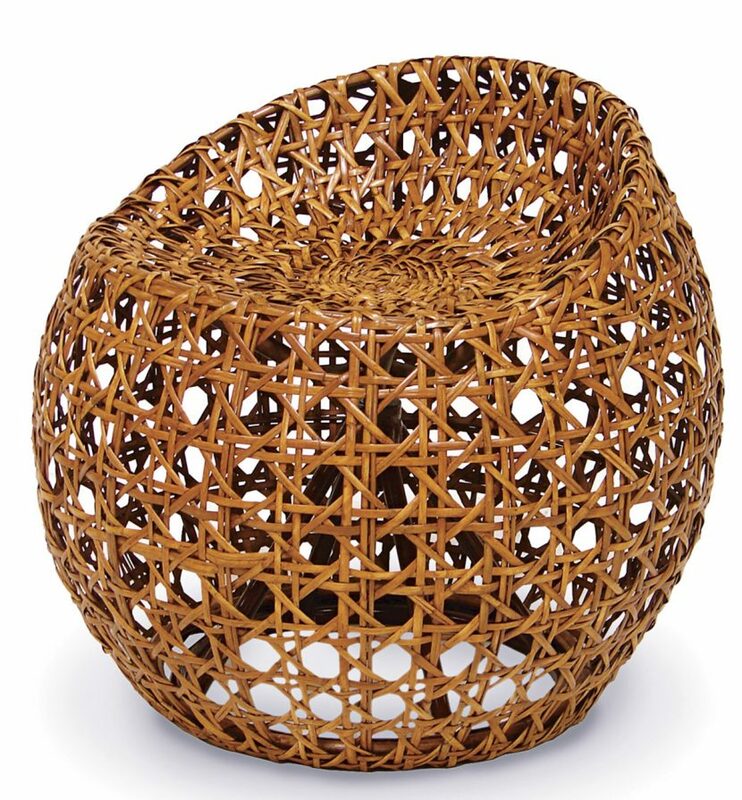 Jaime Hayon for Fritz Hansen “Ro” lounge chair, $3,272, Hive Modern.